With Chinese long-term high-speed economic growth demand for energy, the people's requirements for the quality of life and the ecological environment are also increasing. Century projects such as the West-East Gas Transmission, Sichuan-to-East Gas Transmission, and the introduction of Russian natural gas show that natural gas, an important energy source with high quality, cleanness and environmental protection, is receiving unprecedented attention from the Chinese government. China Gas has established 46 joint ventures with natural gas franchise in more than a dozen provinces along the West-East Gas Pipeline and Sichuan-to-East Gas Pipeline, investing in more than 50 natural gas pipeline projects, and this number will continue to increase with the rapid expansion of the Chinese gas market. With the continuous development of the natural gas pipeline industry, the use of natural gas pipeline regulating valves is also increasing. What is the difference between natural gas pipeline valves and ordinary valves? The natural gas transported by the pipeline contains a large amount of hydrogen sulfide before desulfurization. This is a toxic and highly corrosive gas. It reacts with iron to form iron sulfide, which can exfoliate and erode mechanical equipment. Even natural gas treated by a process such as desulfurization still has residual hydrogen sulfide. Therefore, we should select the pipeline control valve made of corrosion-resistant and sulfur-resistant materials. Due to the high pipeline delivery pressure, large diameter and ultrashort switching time, the pipeline regulating valve needs to adopt a large torque driving device, such as electric or pneumatic devices, gas-liquid linkage or electro-hydraulic linkage devices. The drive unit is also required to have explosion-proof capacity, in accord with EExdIIBT4, with protection class of IP68. Since the management and control personnel are generally in the station or in the central control room, the pipeline regulating valve can be automatically cut off in the event of a major accident such as a crack in the pipeline. The pipeline regulating valve requires a small operating force, and accurate operation can be achieved when the pipeline was affected by temperature and external force changes. In particular, the emergency shut-off valve must be able to be in full open state for a long period of time and quickly cut off the pipeline if necessary. At the same time, it is required that the opening and closing position and opening degree indicator of the regulating valve are accurate and easy to understand, and the appropriate switching speed is necessary. Natural gas pipeline networks are mostly built on the edge of the city. They are not operated and managed like ordinary factories, often having workers operating, maintaining, and inspecting. Generally, the length of the urban natural gas pipeline is more than one hundred kilometers. They can only be patrolled and inspected regularly, and sometimes pipelines need to pass through complex areas. The leakage of media may cause serious fire accidents. Especially for pipelines close to the city, it is particularly important to prevent the external leakage of the regulating valve. The demand against the leakage of natural gas regulating valves is very strict. Generally, the buried and more important regulating valves adopt the valve body full welded structure. In order to ensure the sealing performance of the electric control valve of the pipeline, the sealing pair is required to have excellent corrosion resistance, wear resistance, self-lubricity and elasticity. In recent years, the development of polymer materials has provided a broad selection of materials for sealing materials of pipeline regulating valve, such as PTFE, nylon, nitrile rubber (NBR), special synthetic rubber (VITON), etc. Once the pipeline is put into operation, it is not allowed to stop running for several years, the longer the operation, the better. Unlike the general chemical plant or refinery, the natural gas pipeline has no overhaul period. 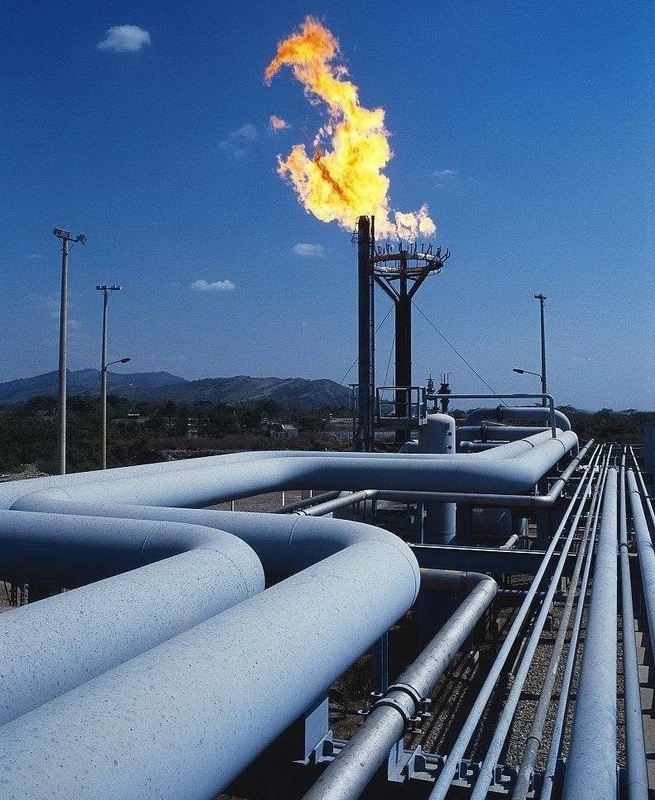 The natural gas transported by pipelines faces a large number of users in the entire city, including residents, enterprises, factories, etc., especially those enterprises that use natural gas as raw materials, and are not allowed to have a momentary interruption. Once the pipeline regulating valve connected in series on the pipeline malfunctions, the consequences are unimaginable. Therefore, the main sealing wearing parts of the pipeline control valve, such as the valve seat, require a long service life. Hence, the service life of the regulating valve in main trunk pipeline is required to be more than 30 years.